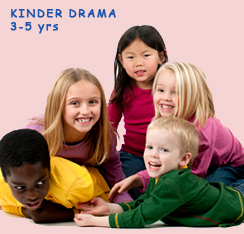 CREATIVE DRAMA CLASSES FOR KIDS IN TORONTO IN YOUR HOME, SCHOOL OR COMMUNITY CENTRE. Hosting a drama class in your home has never been easier! Just invite your friends and neighbours, and we will bring everything to you. As the host parent you’ll get a discount of 25% for your first registered child. You just need a minimum of 6 participants to start. If you can secure a class of 10 children including your own, then your first registered child will enjoy the class FREE for the entire session. Additional siblings are 15% off the regular price. 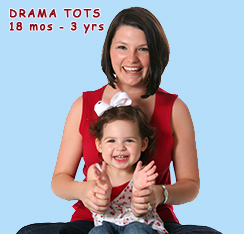 The Drama Mamas offer creative drama classes for kids of all ages in Toronto. Our Drama classes for kids build confidence and self-esteem, teach valuable social skills, strengthen communication skills, and help nurture your child’s imagination – all in a fun and safe environment ! 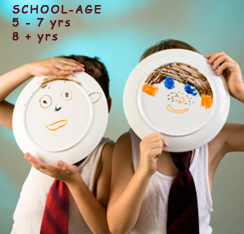 All of our creative drama classes are organized by age, and cater to each age group’s developmental needs and abilities. We offer Parent & Tot, Preschool, and School Age classes in a location of your choice. Call to organize a class in your home, school, or community centre.